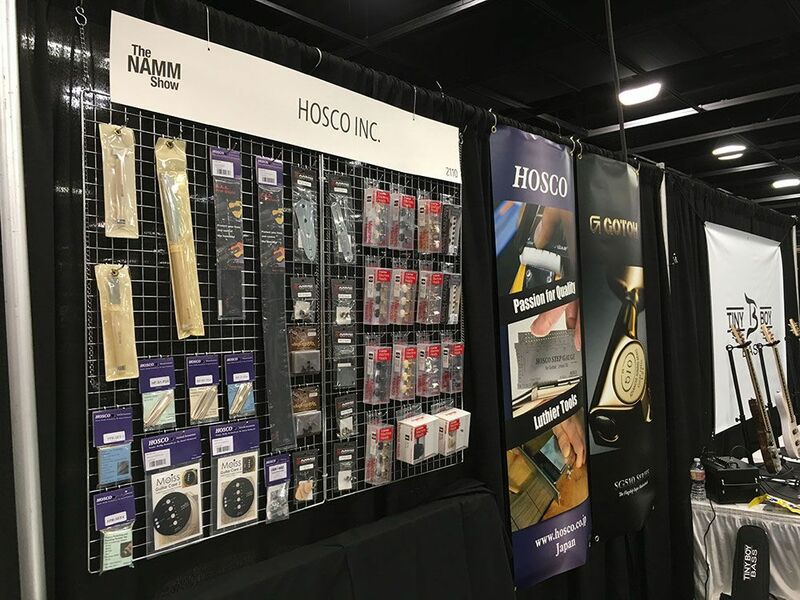 > NEWS > Thank you very much for visiting us at NAMM. Thank you very much for visiting us at NAMM. Here are some photos of our booth for your reference. Easy Fret Care was the most popular product this time. When you change to new strings, make frets shiny at the same time! Compact Fret Crown File and Black Nut File with handle. You can carry them anywhere you would like. L5 and S5 shaped (Pearl / Ivory / Marble) – colored buttons will be available soon. Very light weight! It comes with individual box. Excellent parts are available with individual packaging. 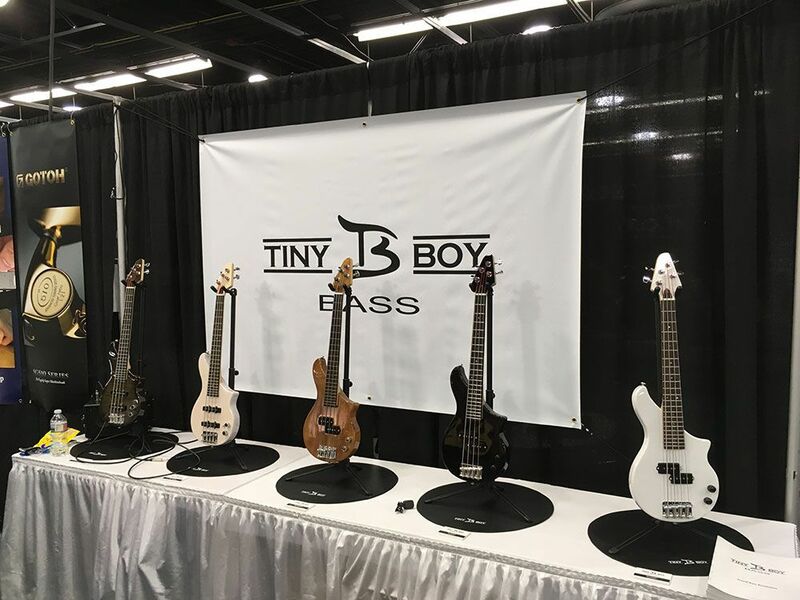 Tiny Boy mini basses were launched at NAMM officially.